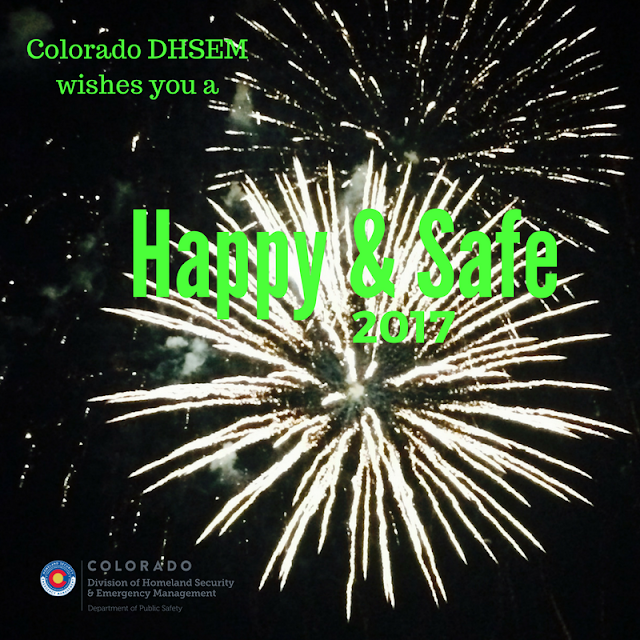 The Colorado Division of Homeland Security and Emergency Management wishes you a Happy and Safe 2017. The Colorado Daily Status Report will not be published on Monday, January 2, 2017 due to state observed holiday. The Report will return on Tuesday. The DHSEM offices are closed today the DHSEM Duty Officer remains available 24/7 to support Colorado jurisdictions and DHSEM is ready to respond as requested by local jurisdictions for emergency or disaster support.